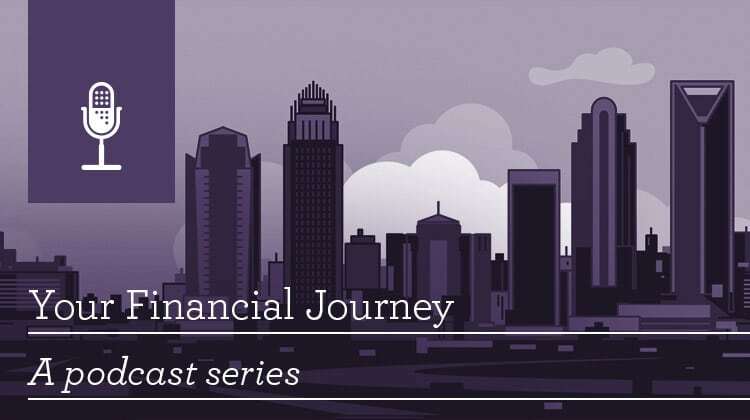 Hello, I’m Chuck Kind, National Sales Development Manager for Wells Fargo Private Bank, and this is “Your Financial Journey” — a podcast series that explores answers to common financial questions. I’m joined today by Stephen Thomas, Real Estate Advisory Specialist for Wells Fargo Private Bank, to discuss why 18-hour cities may make sense as investment opportunities for long-term real estate investments. Welcome, Stephen. Thanks, Chuck; glad to be here. Glad to have you. So, Stephen, let’s start the conversation by letting our audience know what we mean when we’re talking about an 18-hour city. Sure, Chuck. When we talk about the 18-hour city we are referring to cities such as Denver, Boston, Charlotte, and Philadelphia. These are cities that offer good business and living environments, employment opportunities, and cultural and recreational activities but they aren’t as expensive as larger gateway cities such New York and Los Angeles. Are there considerations other than cost, Stephen, that make these cities particularly attractive from an investment perspective? Absolutely. These cities are growing rapidly as downtown revitalization, infrastructure investment, and improved shopping and entertainment options attract a much more affluent demographic. These are people who are looking for a lower cost of living and a lower cost of doing business, but who still value 24-hour amenities that those gateway cities and 18-hour cities provide. So, Stephen, obviously with interest rates on the rise, do you have any concerns that valuations in these markets may be reaching a peak? So, for those investors who may be interested in considering investing in real estate, what are some risks they ought to consider? There are various risk considerations that investors should weigh carefully before investing in real estate. Some of these risks include: interest rate risk as rates start to move higher, the illiquid nature of privately held real estate investments, and valuation risk, particularly at this stage of the real estate cycle. These risks are very real, which is why we recommend that investors enter into transactions with a long-term mindset. What advice would you give to investors who may be considering commercial real estate? 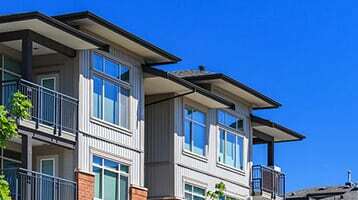 Some key considerations include evaluating the quality of the tenants in a building and reviewing the quality, or physical condition, of the property itself. Also, consider the strength of a property’s location and the fundamentals of each specific local real estate market. We recommend working with your financial and real estate professionals to determine whether real estate investments are appropriate for your wealth plan. Well, thanks, Stephen, for sharing these great points. For our listeners today, make sure you conduct careful due diligence and evaluation of a potential real estate investment and think long term when considering a real estate investment. Our Wells Fargo Real Estate Asset Management team will be glad to help you. Experts share what rising rates may mean for your real estate portfolio. Real Estate investments carry unique risks including lack of liquidity and potential complex tax consequences and may not be suitable for all investors. Wells Fargo Bank, N.A. (the “Bank”) offers various advisory and fiduciary products and services. Financial Advisors of Wells Fargo Advisors may refer clients to the Bank for an ongoing or one-time fee. The role of the Financial Advisor with respect to Bank products and services is limited to referral and relationship management services. The Bank is responsible for the day-to-day management of non-brokerage accounts and for providing investment advice, investment management services and wealth management services to clients. The Financial Advisor does not provide investment advice or brokerage services to Bank accounts, but does offer, as applicable, brokerage services and investment advice to brokerage accounts held at Wells Fargo Advisors. The views, opinions and portfolios may differ from our broker-dealer affiliates. Wells Fargo Advisors is a trade name used by Wells Fargo Clearing Services, LLC and Wells Fargo Advisors Financial Network, LLC, Members SIPC, separate registered broker-dealers and non-bank affiliates of Wells Fargo & Company.